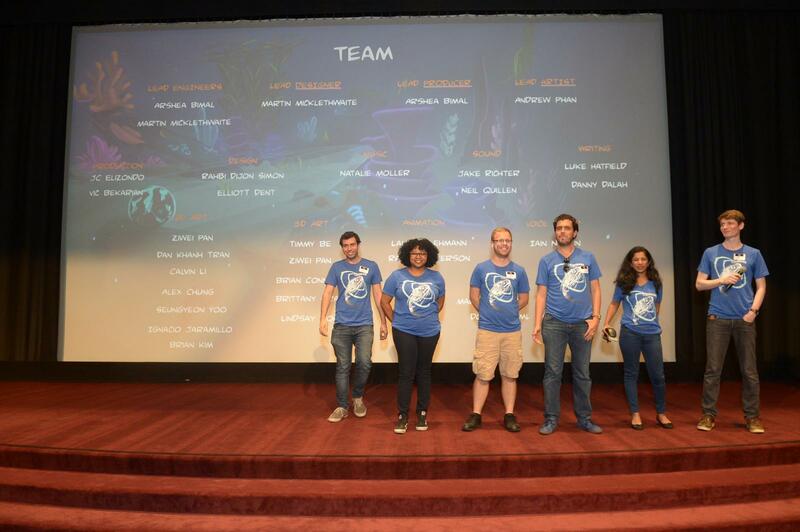 On May 9ththe USC School of Cinematic Arts (SCA) held the first annual USC Games Expo. 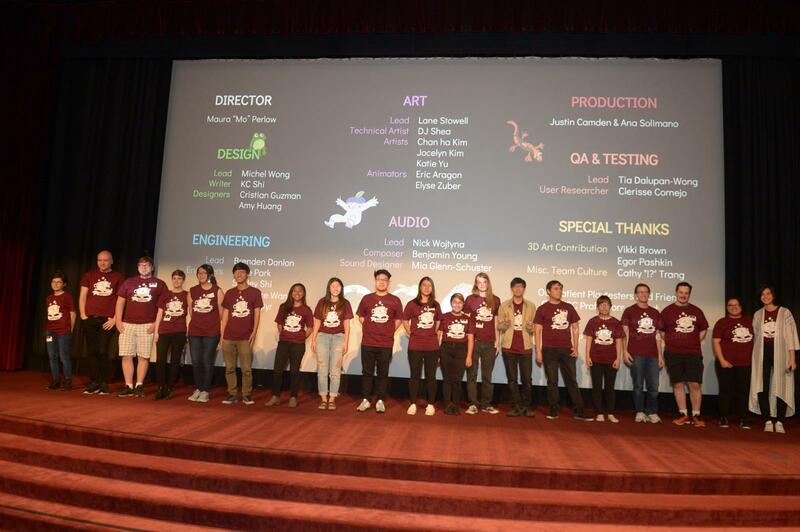 The event was a collaboration between SCA and the Viterbi School of Engineering, meant to showcase the most innovative projects from the USC Games community. Undergraduate as well as graduate student games were on display, along with games made by faculty and alumni. 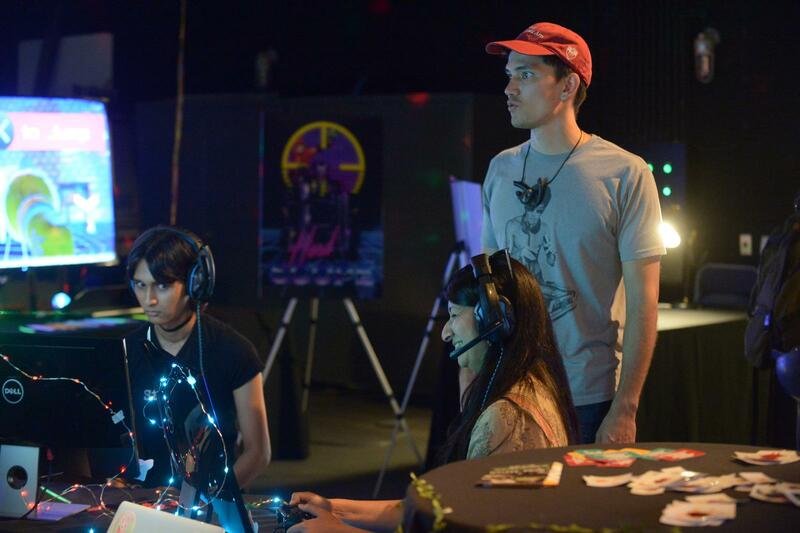 Complete with a DJ, open bar and buffets, the entire SCA campus transformed into a space for game play and eclectic interactivity. 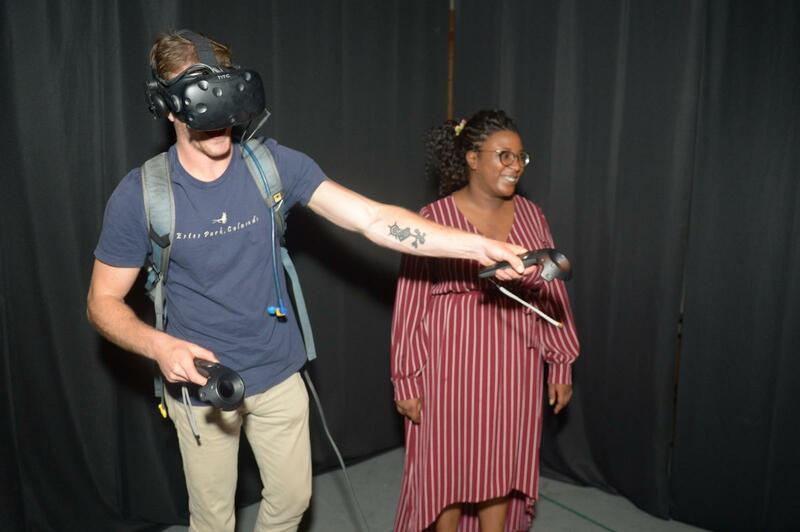 The theme of the event was “Bigger and Better,” and the USC Games Expo kept attendees engaged and entertained as they got a first-hand look at the incredibly innovative spirit of the next generation of advanced game designers. 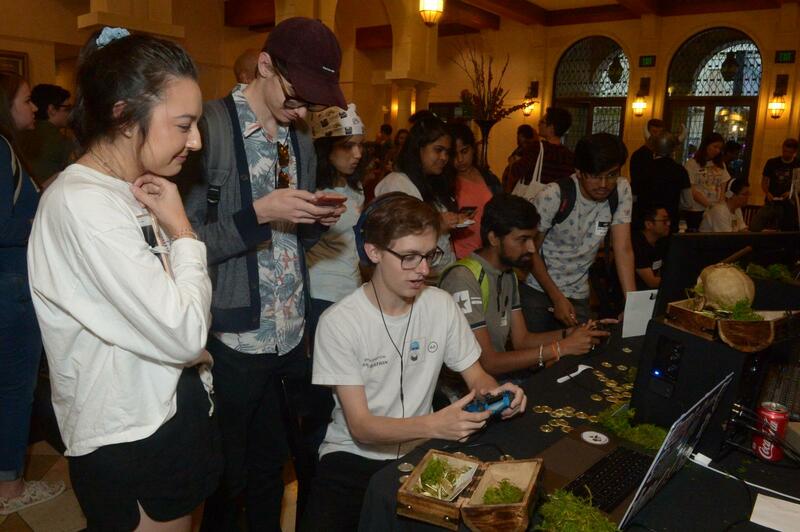 After the eight featured games were presented, the more than 1,000 guests in attendance went explored all that the Games Expo had to offer: From virtual reality to live-action role-play to board games to more traditional looking video games, these was something for everyone at this end-of-the year extravaganza. 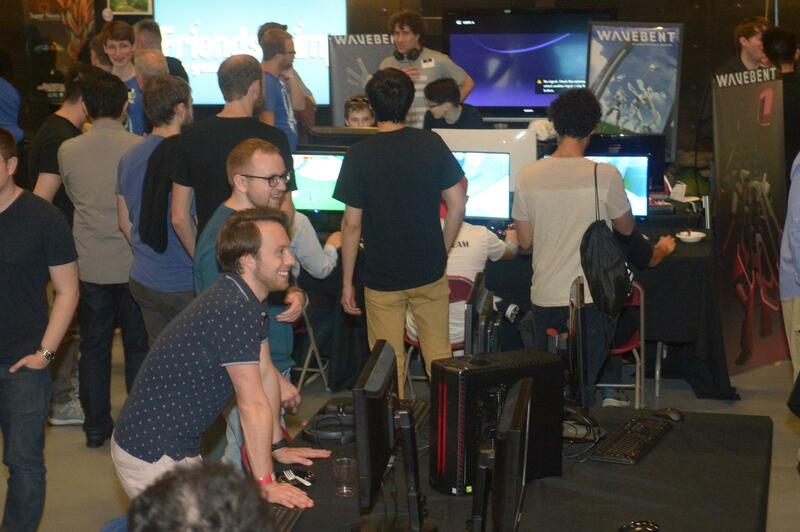 For the students from the Cinema and Engineering Schools who had been working in teams on their games for over a year, the Games Expo was a truly special moment. “When you are deep in the trenches it is hard to see the light. You see all the mistakes in the game. Today, as I see people play the game, I see it with fresh eyes. 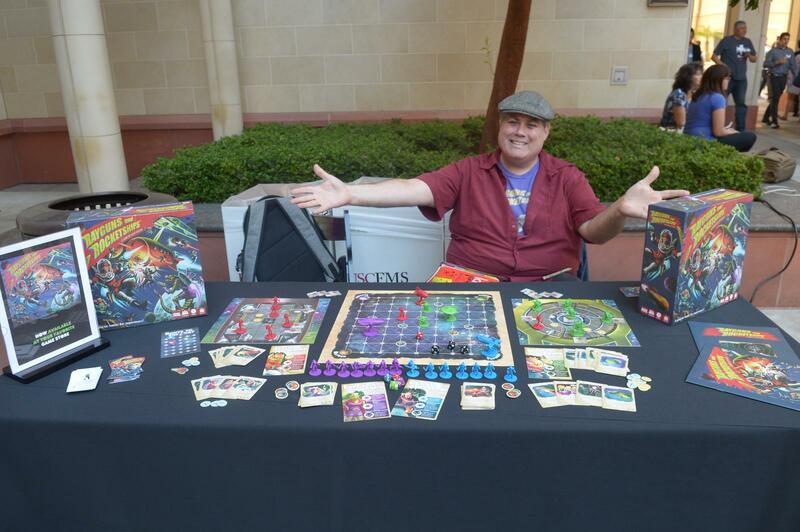 It is giving me a new perspective on my work,” said Maria Ferreri, who was the Creative Director for Catastropieces, one of the eight games presented at Norris Theater. 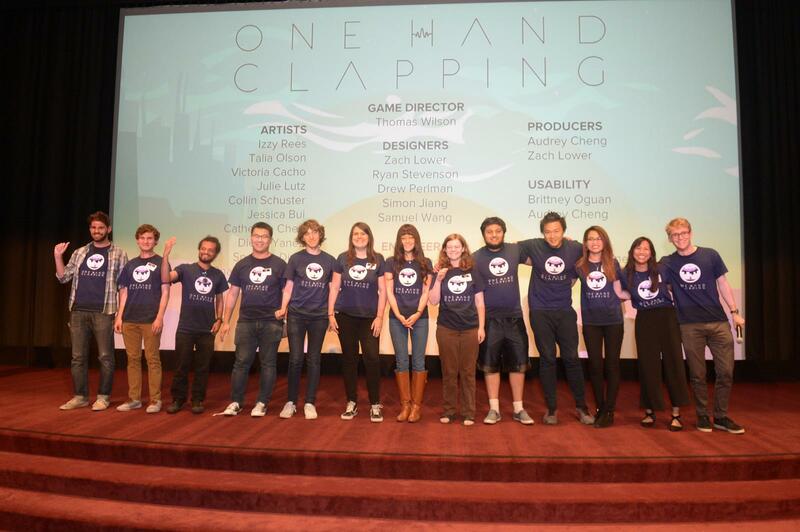 “This has been a very rewarding experience, and what we as game makers work for,” they added. 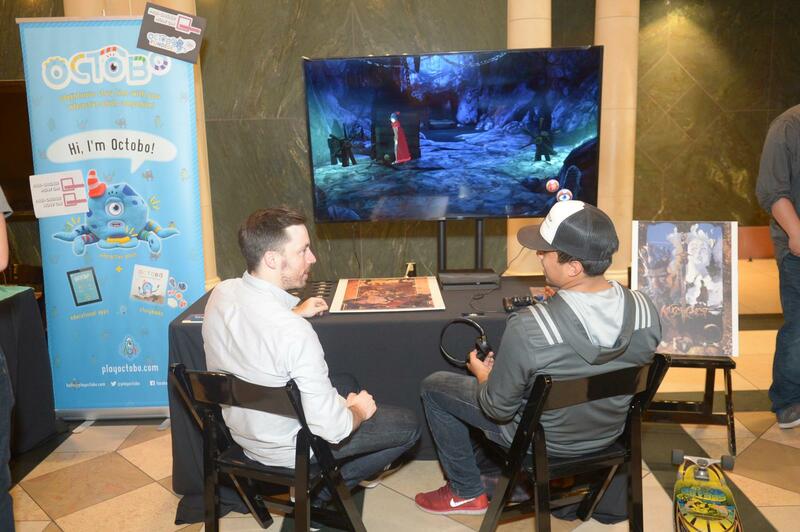 The sense of wonder for both the game players and the people who spent so much time making them was evident throughout the Expo. 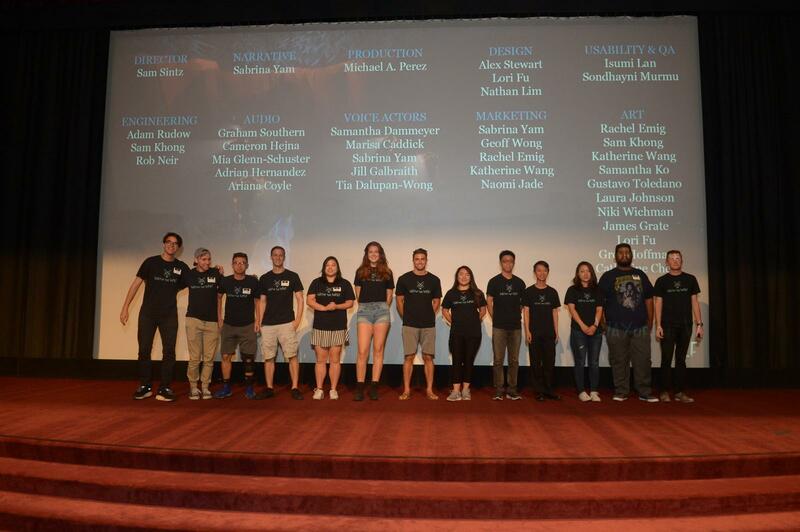 Sam Sintz, the Creative Director on another feature game, Way of the Wolf, commented that, “It is amazing to see the light come on in my teammates’ eyes as they play the game now. There is such a positive reaction from everyone, and it is very rewarding.” Kevin Lipton, a 2011 SCA alum, brought his wife Andrea and three-year-old son Jake to the Expo. When asked what his favorite part of the evening was, an elated Jake answered, “The dancing!” Yes, there was dancing. 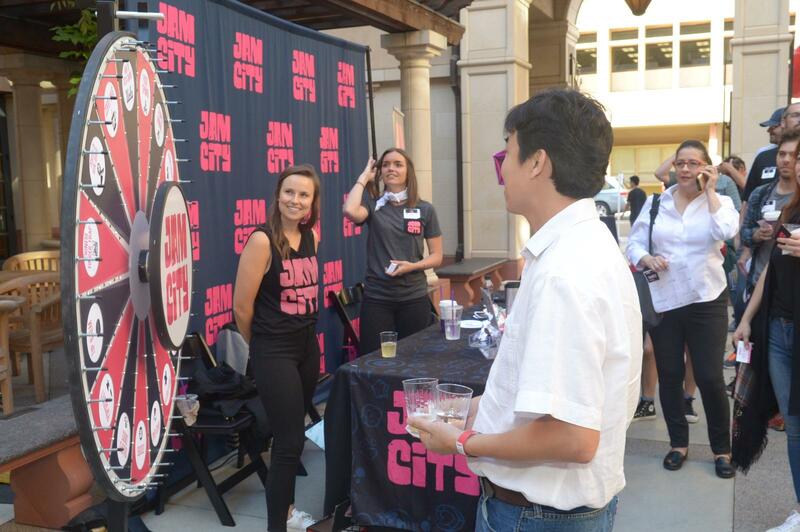 This year’s event was truly for the entire community, with families coming to spend time together and support USC. One Hand Clapping is a musical game where the player sings his/her way through a series of puzzles of increasing difficulty in a magical world. 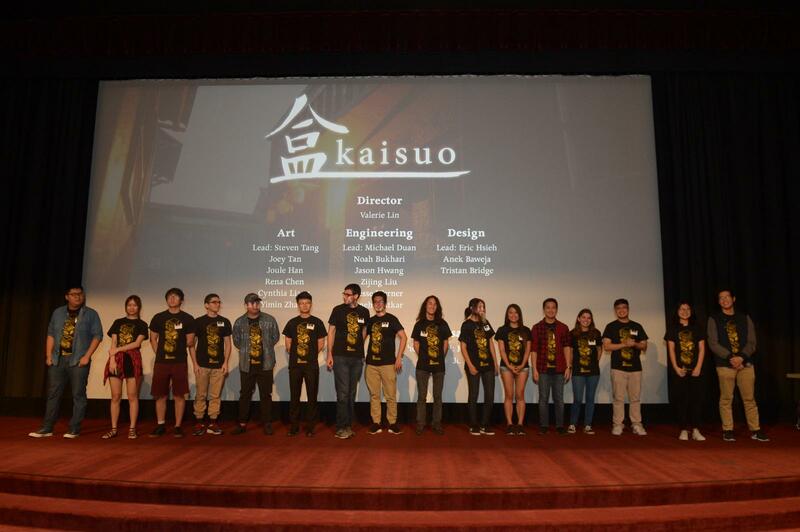 Kaisuo is a virtual reality game where the player solves Chinese puzzle boxes to uncover extraordinary spaces. 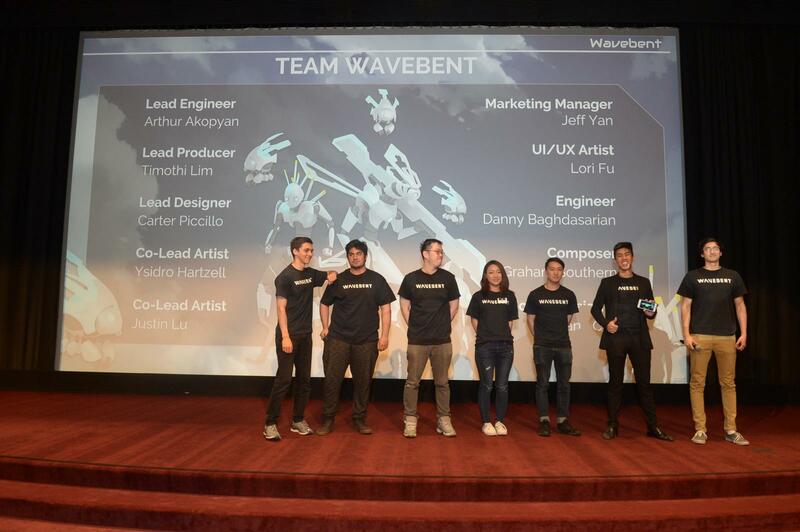 WaveBent is a racing game that is set in space and aims at tapping into a competitive visceral experience. Wildbrew is an adventure puzzle game where players start building from their backyard. 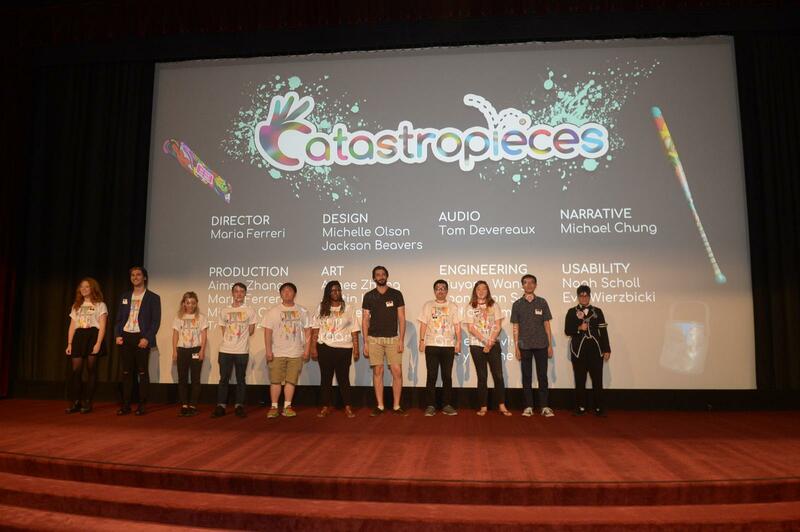 Catastropieces is a design game which uses physics to challenge the player to make one-of-a-kind art pieces. Friendshrimp is a personal adventure narrative game featuring a lively mantis shrimp. Way of the Wolf is an action adventure game where the player is teamed with an AI wolf. 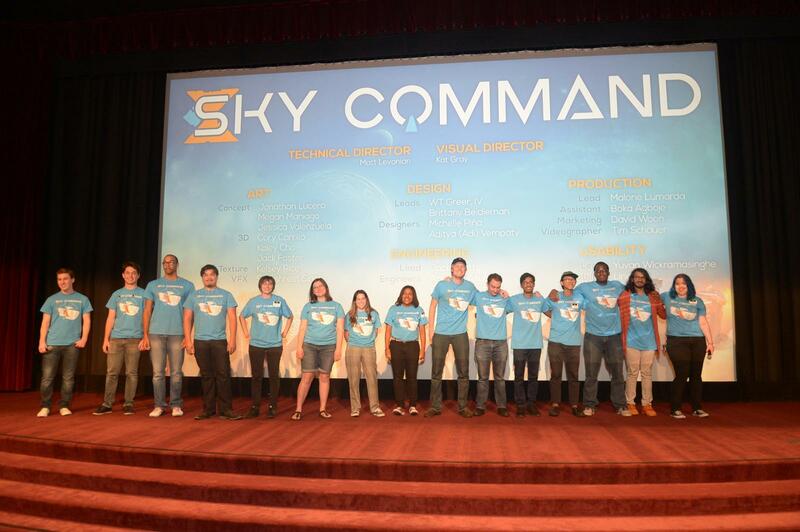 Sky Command is a cooperative two player virtual reality game meant for the arcade market.